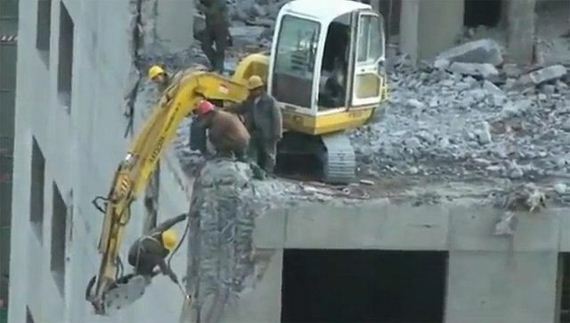 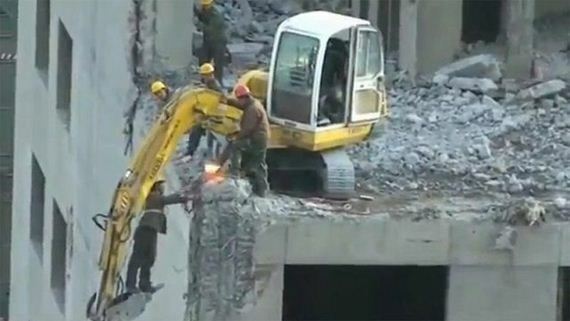 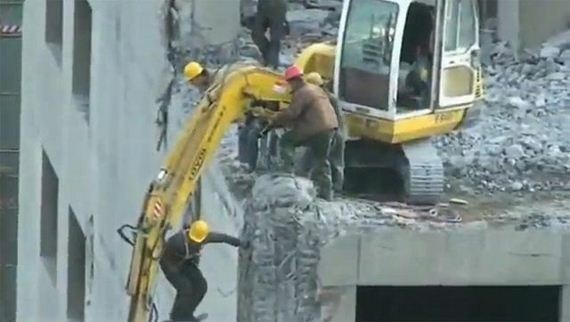 There is no doubt that things are done a little differently in China, but who knew that some of their construction workers are so crazy. 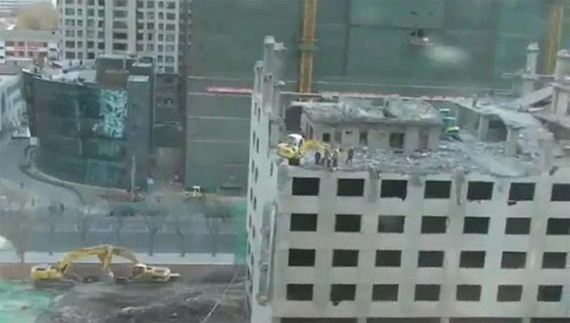 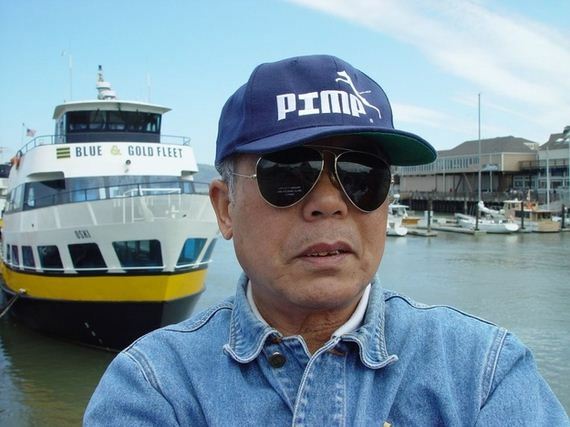 I certainly hope they are insured. 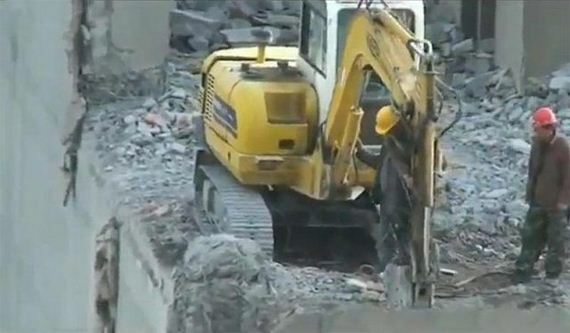 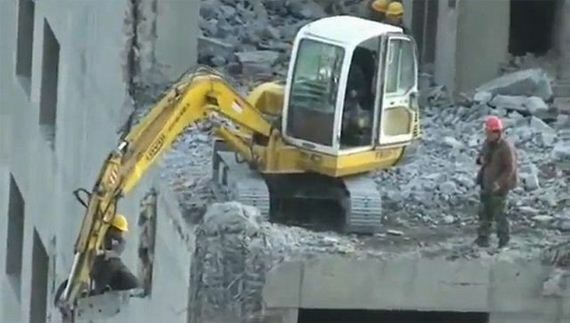 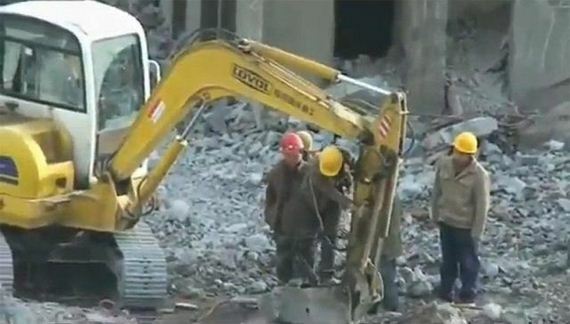 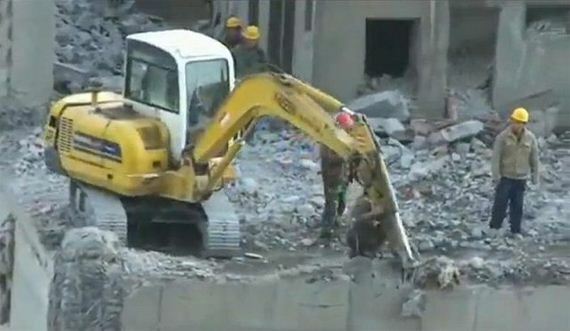 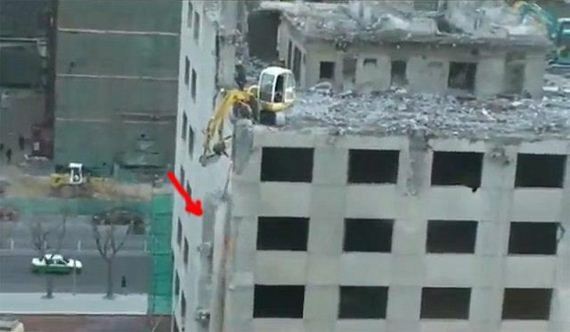 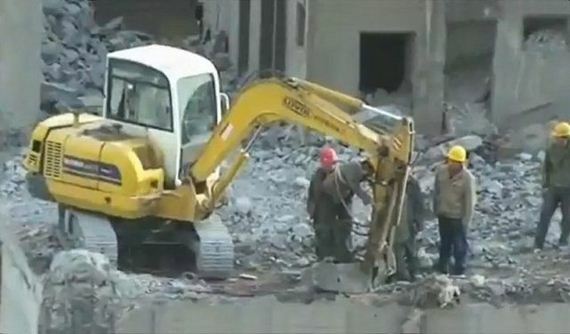 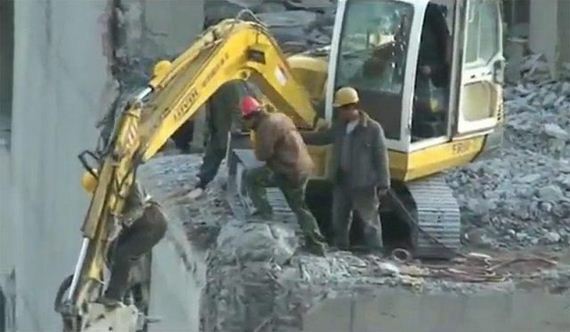 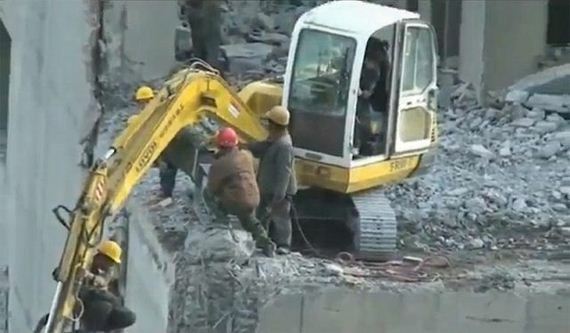 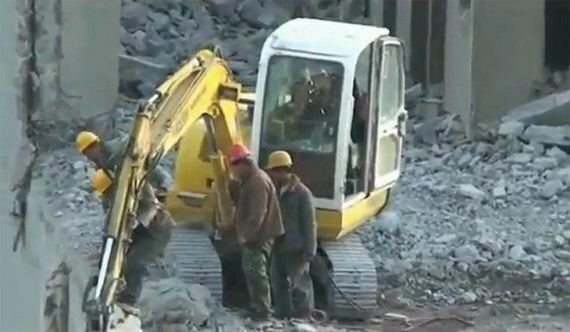 A Chinese construction worker hopped inside of this small excavator’s scoop to attempt to dislodge a piece of debris on the side of the building. 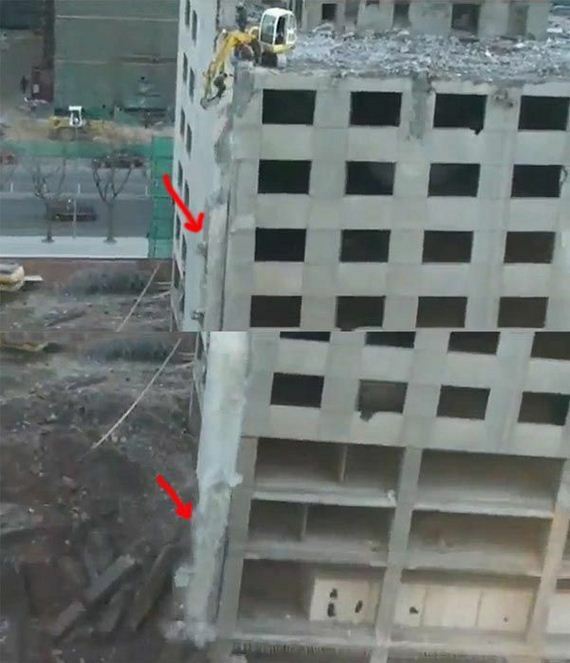 Unfortunately for him they were at least eight or more stories up, but somehow he managed to hang on and not fall to his death.